Home » Music » Whos the Coposer of Kanlungan? » Whos the Composer of Kanlungan? Whos the Composer of Kanlungan? This was a background music of McDonald's old TV commercial. It was sung by a Pilipino artist I admire, together with the rest of the artists who use their music in declaring love for the nation. I find Noel Cabangon as a nationalist artist. He was the composer of the song Tatsulok, popularized by another Pilipino artist Bamboo. I tried to translate this song in English, in the nearest possible translation I can think of. It was a challenge to translate the word "panahon" because in tagalog (or Filipino dialect) the word either means "time" or "weather". I found the former to be most fitting translation for the song. I was still living in Quezon city when I first saw this artist. I came to appraciate him more when our parish, Sacred Heart of Jesus, was able to invite Noel during a show or concert of all the church choirs. Two of my closests friends worked with the parish and that is where we go to during Sundays in Kamuning. My friend and I watched the concert, staged inside the church. The presentation was great! 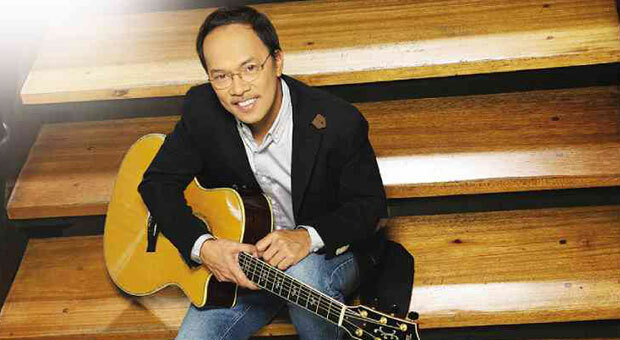 Noel Cabangon sang this song live accompanied by his own guitar. It was really marvelous. There I learned that prior to being a popular singer, he used to be a parishoner of that church and he spent most of his childhood days in Kamuning area. Perhaps, he was even referring to Kamuning, as his "cradle" when he sang this song. I am not really sure but one thing is guaranteed: he is a good artist and it's too hard not to admire him.